Puerto Vallarta | Eat It, Damn It! MG has been going to Puerto Vallarta for a long time. 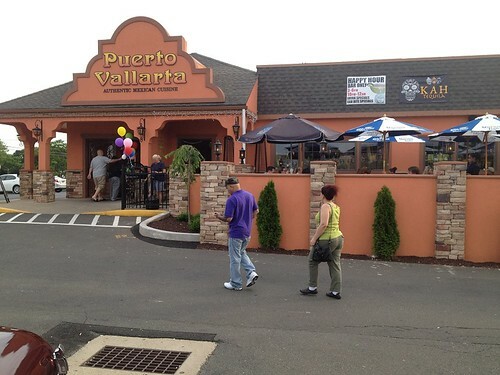 She has taken many people there and was happy to finally bring me by the location in Orange, CT.
As you can see from the picture above, this particular outpost has the traditional Tex-Mex look. Though recently built, it looks as though it has been constructed from adobe. We went on a Friday night, and it was around the dinner hour, so plenty of people were beginning to trickle inside. There were some people that were stumbling out after happy hour, seemingly a popular time, but many families were starting to arrive concurrent with us. The weather was pretty mild, so we ended up sitting on the outside deck. MG recommended the drinks very highly. She said that Puerto Vallarta did not skimp on the alcohol. 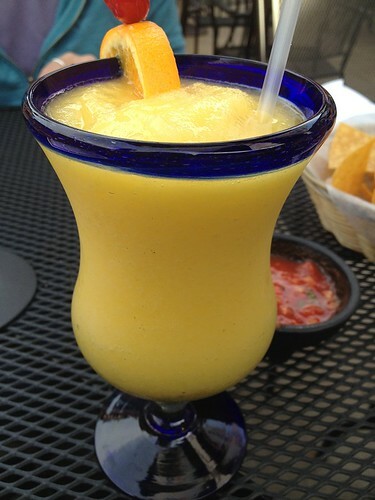 Instead of their standard margarita, I tried a Mango Margarita. MG was correct. They did not skimp on the booze. MG opted for the Cadillac Margarita. 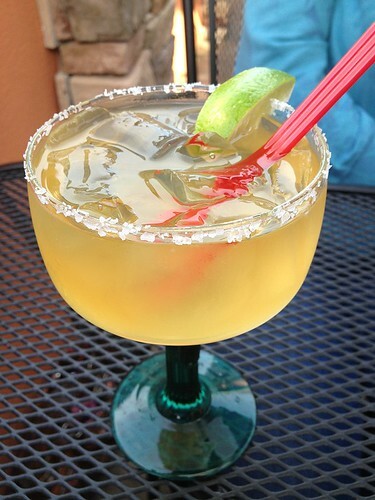 It’s made from 1800 tequila, triple sec, mix, and a splash of Grand Marnier. It was pretty smooth. Once again, they were not stingy with the liquor. 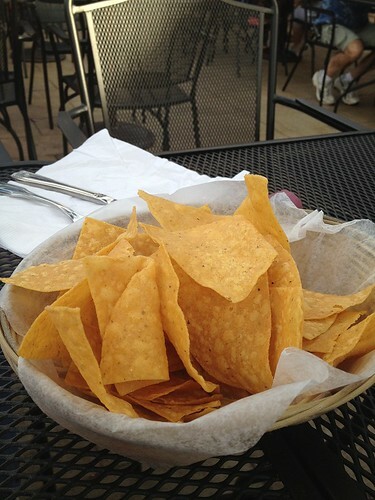 The complimentary nachos were pretty good. Thin and crisp, they might have been freshly made, but didn’t taste especially great, but definitely not bad. 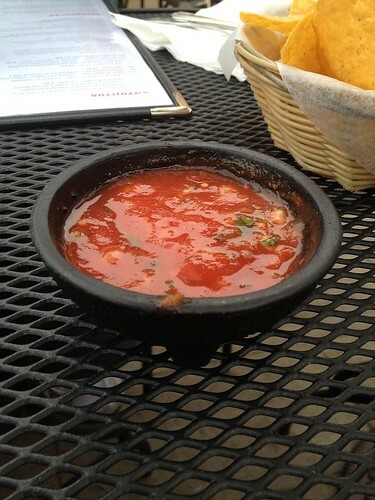 The salsa was nice, not terribly chunky, and had a bit of kick. Every Mexican restaurant menu has tacos, burritos, quesedillas, etc… Some places have a mole dish listed. This Purto Vallarta had at least three moles. I was impressed. The dish was called Chicken Mole Acapulco. I suppose this is the dish that most places would considered a standard mole. It was a mixture of chocolate, nuts, chili, and whatever other magical ingredients usually go into a mole. This would not make a list of my favorite moles of all time, but it was pretty good. It was rich and nutty, without any flavor dominating the sauce. I think it could have used a little more chili. It was very savory, had a nice thick texture, and it is something I could definitely recommend. This chicken was well cooked and tender. Puerto Vallarta cuts the chicken incredibly thin so that it will cook quickly. They don’t skimp on the chicken, but the thin cuts take something away from the dish. 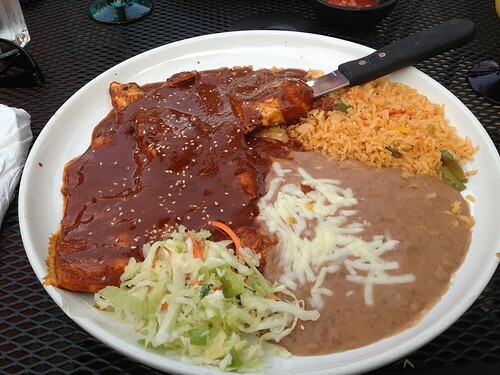 It is not possible to get a nice meaty forkful of poultry, and the mole sauce almost overwhelms the chicken due to its width. The rice is fine, but nothing special. The refried beans are pretty dull. MG had the Carne Asada. Like the chicken, the beef is cut very thin and quickly seared. It came out very tender and tasty, but again since the meat is cut so thin, it almost gets overwhelmed by anything that accompanies it on the plate. MG is not a fan of refried beans, so she asked for a side of black beans. 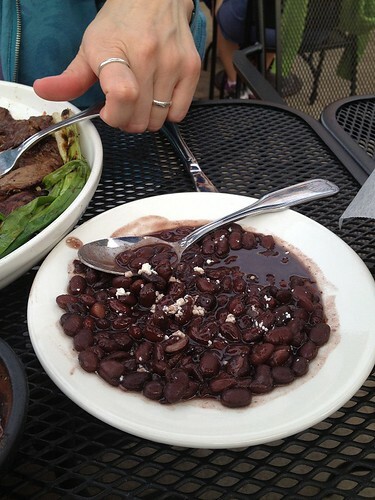 It was a side of black beans, nothing more, nothing less. There was a mixup when ordering. Puerto Vallarta has a number of different quesedilla dishes on the menu. MG asked about the type of beef in one of them. 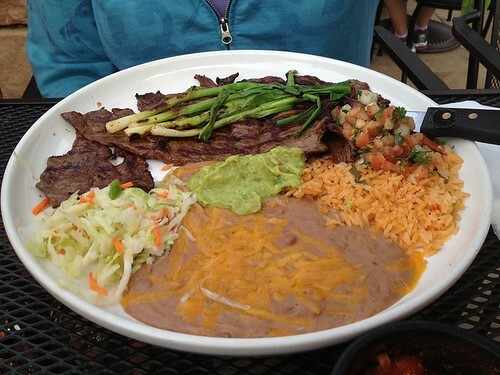 When she was told, she said, “I’ll have the Carne Asada one.” As evident in the picture above, she ended up getting the Carne Asada platter. The waiter was pleasant when the problem was called to his attention. MG also acknowledged that she may have been unclear. While the waiter was pleasant, he did not appear very ready to replace the dish. I can’t really fault him, since MG was fine with accepting the dish that was brought, but I can’t help but wonder what would have happened had she insisted on a new dish. 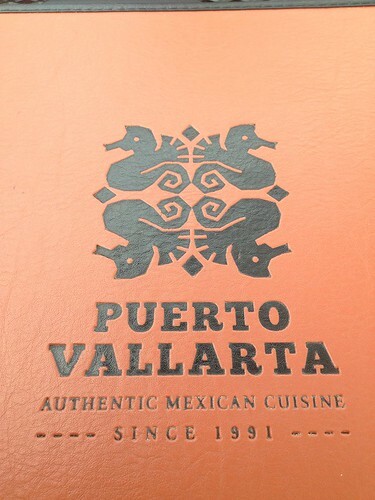 Puerto Vallarta is a better than average Mexican restaurant, but not amazing. The drinks are very good, and outdoor seating is plentiful for those that like to pickle outside after work.